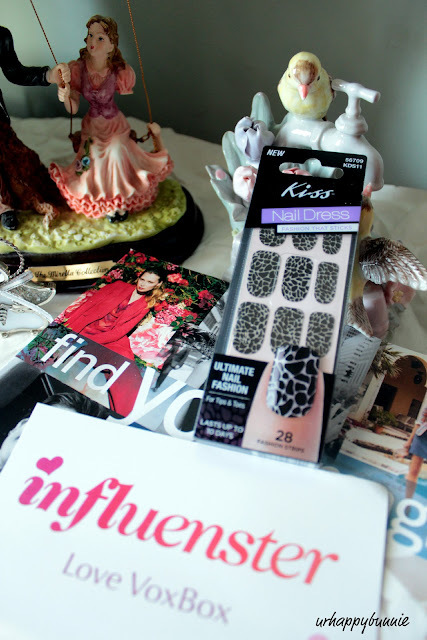 Kiss Nail Dress is one of those products that came with my Influenster LoveVoxBox. This is second product that I have been most keen to try out since it's an instant nail fix without waiting for drying time. For those of you who don't know what the Kiss Nail Dress are, it's a stick on nail design. These stick on nail designs are becoming more popular since most women are always on the go. 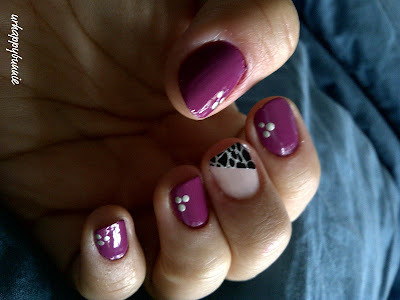 We sometimes lack the time to pamper ourselves to a nice manicure and pedicure, let alone nail art. Now, with products like the Kiss Nail Dress, it's more convenient, efficient and fast to have nice looking, salon done nails. I know there are lots of products and brands similar to Kiss Nail Dress but I think Kiss topples them over. Kiss Nail Dress have 28 design strips in one pack for a retail price of $6.99 and is available at major drugstores. That's pretty good considering the pros of this product, plus it lasts a really good time. With me who is rough with my nails and doing all sorts of chores around the house while I had them on, it lasted me for a good 5 days with no chipping. It would last a a good 5 more days if you do office work and such. Kiss Nail Dress have several unique designs and some of them are jeweled. 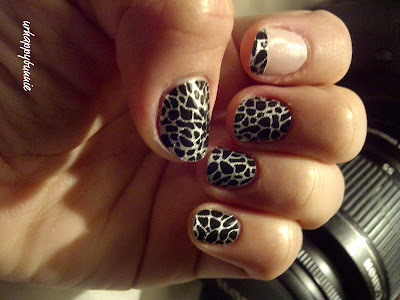 I got the KDS11 Nail Dress Design in my LoveVoxbox and here are two of my manis. I have yet to do them on my feet but I have a lot more of the stickers to pamper my toenails. In the first mani, my pointer finger had the Nail Dress as an accent just to give it a nice flair. On my second mani, the Nail Dress really stood out since it's only on my middle finger and used as an accent too. Any of you guys tried the Kiss Nail Dress? if you have a dollar general near you, get them there. they are only $3. that's where i got mine for my review and i LOVE love love them. they lasted 5 days for me too because i'm also rough with my hands. Wow! Good one! Ok gonna look for a dollar general near me!!! :)) Thanks! I like the nail ideas!! I am now following you. I hope you do the same and follow back! Thanks! I had some in my vobxbox too and loved them! The prints they have are really really cute. I've never tried this but would love to! So cute and inexpensive, compared to my $45 gel french! Haven't tried it, despite passing by Kiss Nail products at the drugstore. I might just pick some up! These look really cool! They looks so good on you! I'm yet to brave nail wraps,m but am slowly being persuaded. I love how you used the accent nail!